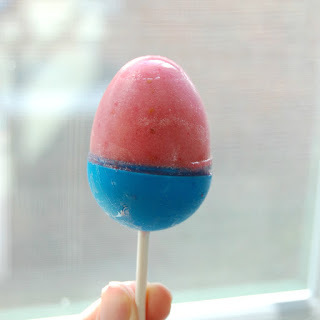 Easter is coming and I've been busily pinning a bunch of cute Easter treats to make with the kids. If you check out my Spring boards on Pinterest, you'll notice I've pinned a lot of deliciousness. There are Easter bunnies made from rice krispies, birds nests covered in chocolate, and chocolate covered peep-sicles. (You know, because peeps don't have enough sugar in their natural form!) I even saw an empty tomb made from a chocolate donut and a mini oreo. Hallelujah! I love an Easter morning sugar rush as much as anyone. But as the mom of preschoolers, I've learned you can have too much of a good thing. You don't want the kids ingesting a sugar laden breakfast only to crash from the sugar high in the middle of Grandma's Easter dinner. 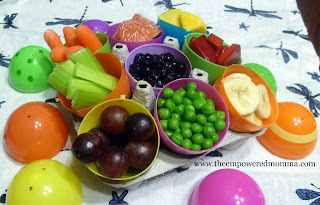 As the calorie count on my Pinterest boards grew, I was happy to see several healthy options for Easter snacks show up on Mom's Library last week. These healthy Easter treats are just as cute but they won't wreck your diet or ruin your kids' teeth. Easter Egg Bread from Hammock Tracks- The egg cooks in the bread. That's awesome, right? 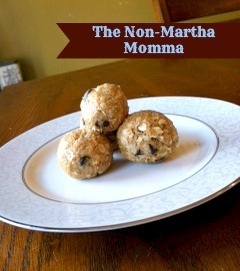 No Bake Peanut Butter Oatmeal Energy Balls from the Non-Martha Momma -- In case you need a little extra energy on Easter! I hope you can find some healthy Easter treats that your family will enjoy. Don't forget to feed your brain this Easter too! 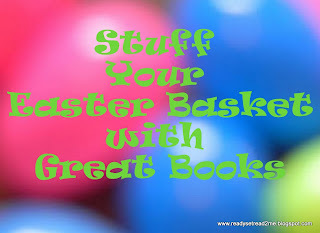 Here are a few favorite books that are great to stuff in a basket in place of candy. Hi! Thanks so much for featuring my peanut butter energy balls. Thanks for featuring my egg bread. I love this link up. Thanks for sharing, ladies! I already made the energy balls and we are having them for snack today! I'm so excited to try the bread.